Ron Wilson and Sons is a third-generation, family-owned hardwood flooring business, and provides hardwood dustless floor sanding to homeowners and business owners throughout Massachusetts and New Hampshire. Your hardwood floors are your pride and joy, but there will be times when you will need floor sanding & refinishing or restaining. For any of your wood floor refinishing needs, don't hesitate to call on our dustless floor sanding specialists. We're happy to help our customers in Mass and NH to rejuvenate your hardwood floors to make them the envy of the neighborhood!! We only use professional-grade, state-of-the-art dustless floor sanding equipment expert methods to sand and clean floors properly, restoring them to their original beauty. Instead of cloth dust bags, our system uses hoses connected to a powerful vacuum outside of your home. We remove 99.9% of the floor sanding dust and eliminate the inconvenience that traditional floor sanding methods create. Our standard has been to provide our clients with the highest quality craftsmanship and professional service in the dustless floor sanding and hardwood floor installation business. CLICK HERE TO CHECK OUT OUR DUSTLESS FLOOR SANDING VIDEO AND SEE OUR CREW IN ACTION! 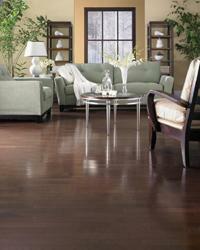 There's no need to replace your hardwood floors – have them refinished by our experts. Click here to see our dustless floor sanding system in action. then call us today, and we'll take a look at your wood floor options and give you an estimate on your personalized project.